Every first year public health student hears the story of London’s 1854 cholera epidemic, Dr. John Snow, his map, and the Broad Street pump handle — but there is so much more to that story. 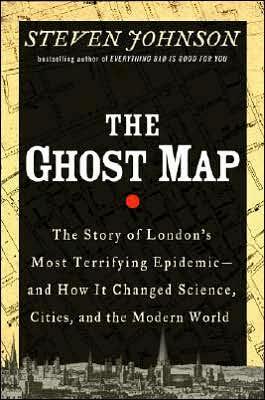 The Ghost Map describes in terrifying detail the disgusting details of life in an over-populated Victorian city, the devastating disease that took advantage of the city’s growth, with no known cause or cure, and the superstitions that rose to fill that gap. Read more on this and other Book Club selections.